Hearts owner Ann Budge hopes to redevelop Tynecastle after revealing her desire to keep the club in Gorgie. Budge hopes to have a plan in place by the end of next season which would see the dilapidated main stand rebuilt. After once suggesting the club’s future could lie away from their historic home, Budge says she has had her mind changed on the stadium. 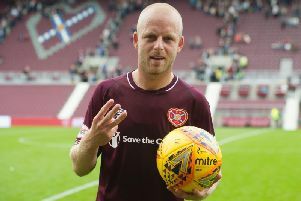 “But having been here a year, heard so many people speak passionately about Tynecastle, I think there has got to be a step, and the next step is going to be what can we do to keep us at Tynecastle. Despite all the challenges that could bring, it is about how we can overcome these. We are still doing the work, still looking at all the options, and all the difficulties etc, but I am looking at it from the point of view of ‘how can we stay here, what can we do to make this viable’.